Rescheduled from January due to government shut down. Previously registered users do not need to register again. This webinar provides an opportunity for attendees to pose questions to the Access Board on the revised Section 508 Standards. The 508 Standards apply to information and communication technology (ICT) in the federal sector such as computers, telecommunications equipment, printers, software, websites, information kiosks and transaction machines, and electronic documents. Questions are welcome on all sections of the standards, including application and scoping, functional performance criteria, hardware and software requirements, support documentation and services, and referenced standards. Access Board ICT Specialists will also address questions about companion guidelines for telecommunications equipment covered by Section 255 of the Communications Act and any other topics related to the Board’s activities on accessible ICT. Participants are encouraged to submit their questions in advance of the session through the registration portal. They can also pose questions during the live webinar. This session will be helpful to anyone involved in complying with the 508 Standards or interested in ICT accessibility. Join us for a lively and informative discussion. 1 Does 508 apply to a private sector business? 3 Question 1: Could you please explain techniques for Section B: General Code Inspection? 4 Question 2: Could you please explain ID B9: If ARIA is present, does the ARIA coding both meet ARIA specifications and give an accurate representation of the content? 5 Question 3: On Section F could you please explain ID F3: Do all decorative images have an empty alt tag (alt="")or are included via the CSS? And ID F4: Is the CSS free from any images conveying information that do not have a text alternative? 6 Question 4: Could you please explain techniques for Section K: Sites containing common elements/dynamic content? 7 Many people have personal attendants to assist with morning routines that depending on physical needs, can take hours and preclude early morning medical appointments. How can activists press college and health centers to have flexible scheduling and provide support staff for clients who needs require this accommodation? 8 Does Standard 1194.22 – Web-based Information and Applications still apply or E207 Software section replaces that? 10 Do Section 508 and WCAG 2.0 also apply to Apps? Apps we can download via Playstore or Appstore? 11 Is a computer based training (CBT) module still considered 508 compliant if the focus moves away from the play bar after selecting a function from the play bar? e.g. I hit the Tab key to move across the play bar (As the buttons are read with JAWS) to the Play/Pause button. After hitting the spacebar to pause the presentation, I have to press the Tab key again to get my focus back into the play bar, then tab across to the Play/Pause button again to resume the playback. 12 Is there a document showing the correlation between the updated VPAT document (v2.3) regulations and the previous VPAT doc (v2.0)? Both description & number? 13 Will HHS or other agencies choose to proactively adopt the new A and AA level success criteria introduced with WCAG 2.1? If so when might this happen? 14 What tools are available to make live streamed meetings accessible? 15 Florida and California are the top two states for lawsuits against business and government websites. What are the top 5 areas in which government and business websites tend to be inaccessible? Government websites also have issues regarding PDFs on their website that are public records -- when the public record was submitted by someone else to be recorded by the government agency, the government agency has no control over whether that document was provided in an accessible format. Are there any allowances under Section 508 for documents submitted to government agencies that public records act require to be available for download online that were not generated by the agency? 16 Do plan documents, typically in a PDF format, that are advertised for public bid need to be in an accessible format? 17 Do complex tables in PDFs (tables with more than column or row header) still require IDs in order to be compliant? Most of the documentation I found says yes, but it's older. Some newer documentation is a little vague. This error does not appear in any checkers that we're aware of, so we get some push back sometimes on if it's necessary. Is it still required? 18 Under what circumstances are colleges and universities required to adhere to Section 508 accessibility requirements? 19 What are some of the common testing approaches? Is JAWS considered as a standard testing approach? If no, do we need to incorporate screen readers in our testing practices? 20 There are several Section 508 testing tools available in the market, open source or otherwise. 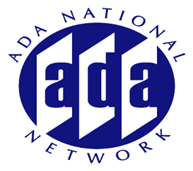 Does ADA consider any as a standard? 21 Is there a documented process for back room exemption equipment, i.e. Storage / Servers. 22 If equipment designed is intended to be used by skilled technicians ( i.e. Server/Storage) Is the question associated to cognition Not Applicable verses Does not Meet. 23 Please review the various levels of standards in 508 compliance and what qualities a document must have to meet each standard in light of the revisions. 25 What is the best practice for a public college to take when multiple display monitors are being installed around campus? The display will include information about upcoming events and FYI notes for students. Some of the event information is available online on the calendar, but no guarantee all information on display monitors is readily available (or easily found) on the campus website. 26 If a voice communication device is provided at the sidewalk entrance to a childcare facility, what communication device is required to be provided for persons who are deaf? This session is accepting questions from registered users. After you have registered to participate in this session you can submit your questions on your Account Manager page. Please note: the number of questions will be limited and submissions will be closed well before the session starts to provide time to prepare answers.